Why Wasn't I Chosen for a Clinical Trial? “Inclusion criteria” refers to the characteristics a person must have to be considered for study participation. For instance, if the study is examining a new treatment for IBD, a person must have been diagnosed with the specific type of IBD being studied. “Exclusion criteria” refers to characteristics that would prevent a person from study participation. The primary reason for exclusion criteria is to make sure a person can safely participate in a trial. For example, if a woman is pregnant or of childbearing potential, it is likely that she will not be able to participate in the trial due to safety concerns. Participants must be willing and able to go through an informed consent process, and voluntarily sign and date an informed consent document that has been approved by an Independent Review Board or Independent Ethics Committee before undergoing any study-related procedures. Participants must meet age and gender criteria of the study protocol. For instance, many clinical trials require that participants be 18 years of age or older. Participants must meet disease criteria as specified by the study protocol. 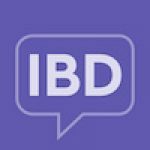 For instance, participants might need to have been having more than 5 symptom days per month for the previous 6 months to be considered for a particular trial for a new IBD medication. The disease criteria may also prevent participants with certain comorbid conditions from entering the study. For example, some studies may prohibit people who have compromised immune systems from participating, which is due to concerns for the person’s safety. Participants must agree and be able to undergo the types of diagnostic procedures required by the protocol, such as blood draws, MRIs, etc. Participants must be willing to travel to a test site, which may be a doctor’s office, hospital, or screening center, for routine check-ups and other relevant appointments. It is possible that researchers will limit the distance a person would need to travel to regular study-related appointments. Female participants must have a negative pregnancy test during initial screening and again at the day of randomization. Female participants must be of non-childbearing potential, defined as postmenopausal for at least 2 years or surgically sterile. Participants must not have taken certain drug therapies for a time period that is specified in the study protocol prior to the first visit. For example, a study protocol may require that participants have used any biologics for 6 months prior to the start of the study. Participants must be willing to notify the staff of any change in their medical health, including surgeries or medical procedures, or change in drug treatments during the course of the trial. For example, if a person participating in a clinical trial for a new IBD medication was diagnosed with depression, he or she would need to inform the staff running the clinical trial. Keep in mind that this is a very basic list of inclusion and exclusion criteria. For any clinical trial protocol, there will likely be a much more extensive list with criteria that are not only specific to the disease state in which the drug is being tested, but also specific to that type, or class of drug. It is also important to remember that if you don’t qualify for one clinical trial, you may very well still qualify for a different one. L-Marc research center. General Inclusion and Exclusion Criteria Page. Avaialble at: http://www.lmarc.com/Webpages/L-MARC%20Generic%20Inclusion%20Exclusion%20Criteria%20Page.html. Accessed February 11, 2015. Thank you for this information. Such an informative read.